PK University (PKU) is situated in Shivpuri, Madhya Pradesh which was proposed by Sonal Education Society encompassing all the major disciplines the majority of the courses will be innovative, practice oriented, flexible, and modular ensuring that the students acquire the necessary skills and knowledge for successful careers. The university aims to establish a close liaison with productive sector providing students a place to study, stay and learn. This will not only meet the growing needs of students of Madhya Pradesh but also India and Abroad too. PKU offers Undergraduate, Postgraduate and Ph.d. programs. PKU Offers UG courses such as BBA, B.Sc, B.Com, B.E/B.Tech, BCA, B.Pharma, B.A, B.H.M.C.T, B.A.L.L.B and many more. 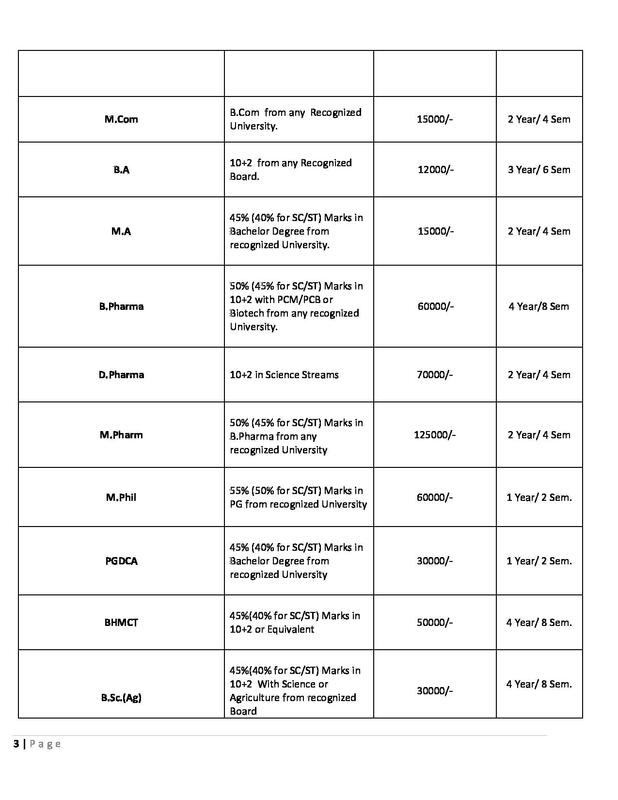 For courses like B.E/B.Tech, B.Pharma and B.H.M.C.T., candidate should have completed 12th with minimum 50% marks (45% for reserved categories). For BCA, BBA, B.Com, minimum 45% marks in 12th is required. 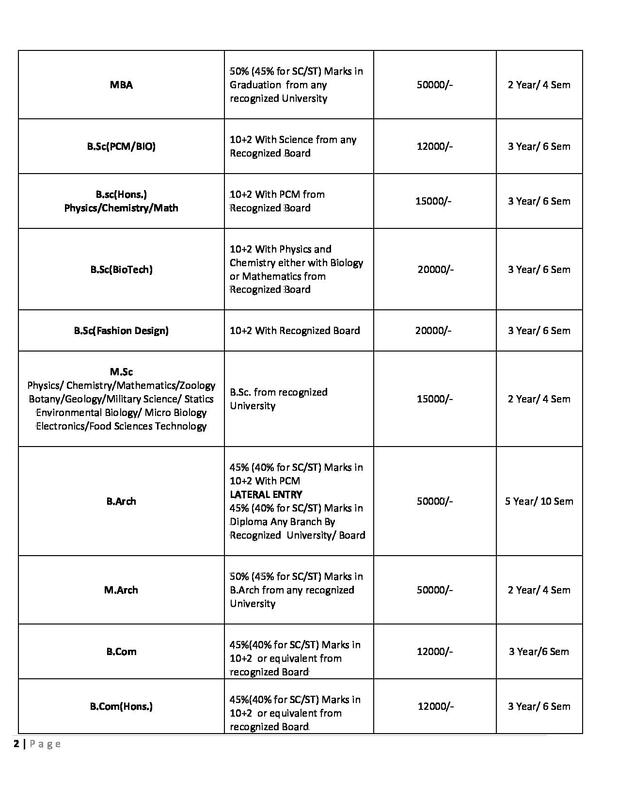 To get admission in B.Sc, Diploma in Engineering, B.A and B.A.L.L.B, only 12th passed from any recognized board is required. 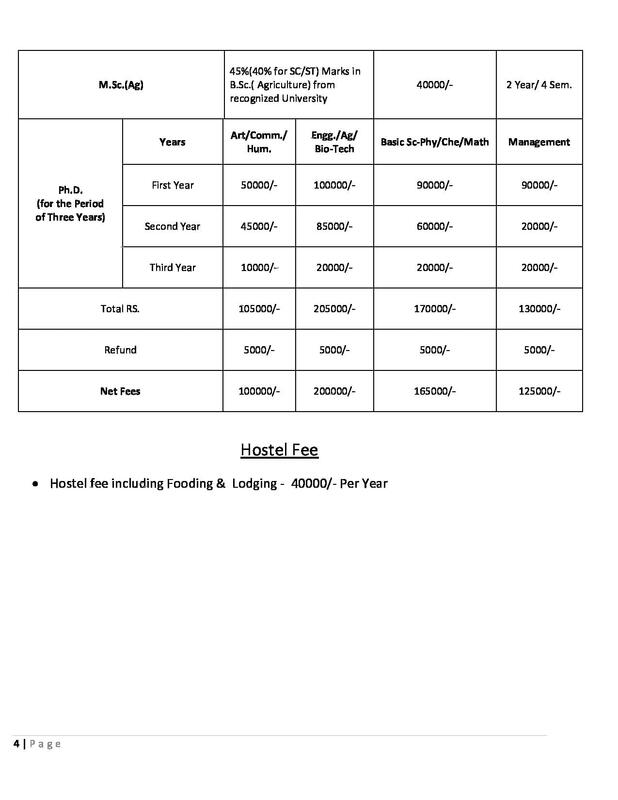 PK University offers PG courses such as MCA, MBA, M.Phill, M.Com and many more. 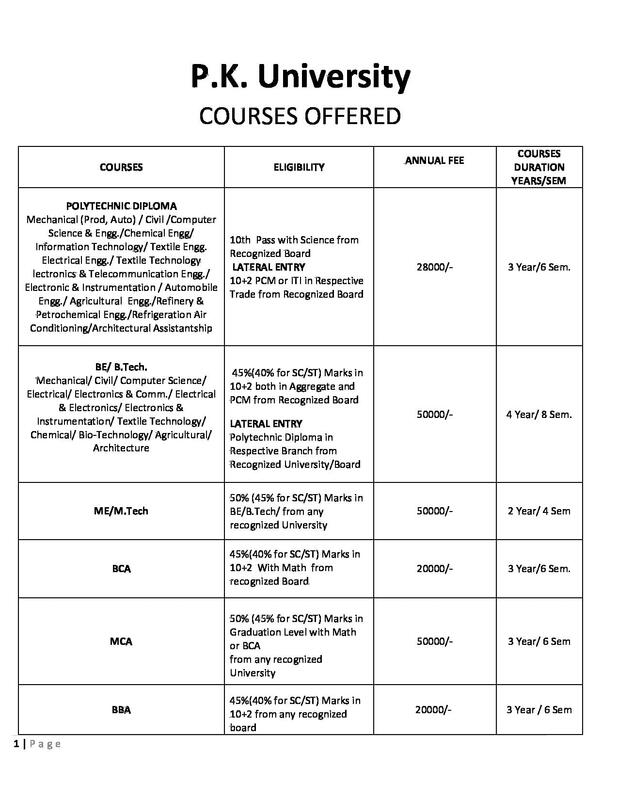 For M.E/M.Tech, MBA, M.Phill, MCA, minimum 50% marks is required in Bachelor’s Degree in relevant course. For M.Sc., M.Com, B.Ed, L.L.B, BJMC, candidate must have completed Bachelor’s degree in any discipline. PKU offers Doctoral programs in Management, Engineering, Art, Science, Commerce, Pharmacy, Biochemistry and many more. Candidate must have completed their respective Bachelor’s degree in any discipline. Along with graduation, Candidate will have to go through entrance test to get admission in PKU.